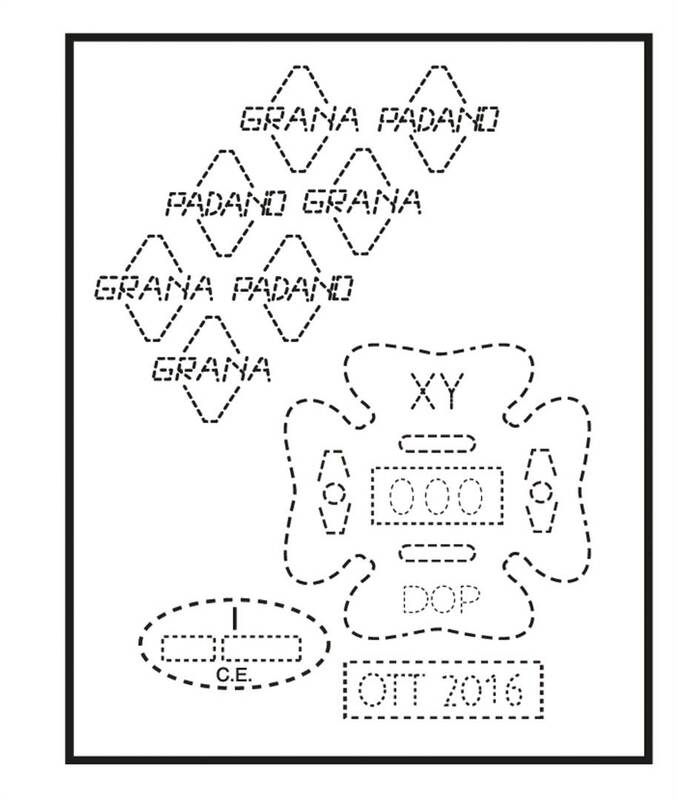 The origin marks are the signs that cover the rind on the sides of the cheese wheel, with dotted lozenges alternately containing the words “Grana” and “Padano”, and the clover motif with two letters and various numbers (the province of production and the dairy's number). The rind also displays the month and year of production and the CE stamp. All these elements combine to distinguish Grana Padano PDO from all other cheeses.